Sometimes they bend so far as to allow that humans might be just like all the rest (instinct-driven automata), but never, on penalty of complete embarrassment and being driven from the respectable scientific community, will a scientist allow that animals might share in the 'uniquely human' attributes. A hundred million animal lovers will observe evidence to the contrary in their animal friends, but all of it is dismissed alike with a wave of the hand and the damning comment "Anecdotal!" As I said, I find this attitude profoundly unscientific. A mother risks her life to save her child. A real scientist would have an hypothesis or theory as to why she did it, and he would test his theory against the facts. He would seek the most parsimonious theory that explained the widest variety of behaviour. But what he would not do is first ask "What species is it?" so that he can invent two entirely different theories depending on whether the answer is "human" or something else. Occam's Razor, the principle that the simplest explanation is probably the best, is a guiding principle of good science. Shouldn't the scientific understanding of evolution (that all species descended from a common ancestor) make it very much more likely, and simpler, if one explanation covered every species? If humans and chimpanzees descended from a common ancestor, how likely is it that human mothers protect their children out of some higher quality of love but chimp mothers do it out of a mindless instinctive compulsion? As for dismissing anything and everything that animal lovers observe by labelling it "anecdotal": the crucial step in scientific investigation is testing hypotheses against experiment. One anecdote, or fifty anecdotes, might not be as reliable as one well-planned scientific observation, but when thousands upon thousands of people who get to know animals well keep on telling you the same things, that alone should start to lend credence to what they are saying. Here is the problem with scientific observation of animals: noninvolvement. That is also a strength, so what exactly am I saying? If I want to understand something well, I need to test it both 'inside' and 'out', so to speak. We know humans reasonably well (I don't think we know everything about ourselves, though!) because we know them in two ways. We are human, we interact with humans, we belong to a family and we make friends, and we make plans that depend on other humans' reacting well to our approaches, etc., all of which counts as knowing humans from the 'inside'. We add to that observations of human behaviour in the scientific sense, in which the experimenter observes but does not influence. That is knowing from the 'outside'. The two together help us form a good understanding of human beings. Both types of learning can be done scientifically, and good scientific hypotheses should account reasonably well for future observations of both kinds. It won't be as perfect a fit as a law of physics such as Newtonian mechanics, because there are many more uncontrollable variables in human behaviour, but if we are succeeding at all, in the scientific sense, we should be able to say at least some definite things about human beings if we are gaining understanding. Let us try some scientific conjecturing. My hypothesis: that animals communicate non-linguistically (without grammatical language). I do not mean this in the trivial sense that is taken for granted: a snake poised to strike is communicating that you are in danger, or a dog begging is communicating a desire for food. No, I mean that animals can conceive of a message, often of a complex nature, which they desire to implant in another creature's mind, and they take appropriate steps and Lo! The other creature now knows the message that the first animal intended it to know. Observation 1: non-linguistic communication is much less efficient than fully grammatical language. This should be obvious: simply recall that the game of charades is precisely an exercise in nonlinguistic communication. I won't waste time justifying this point. Observation 2: All higher animals need to communicate. 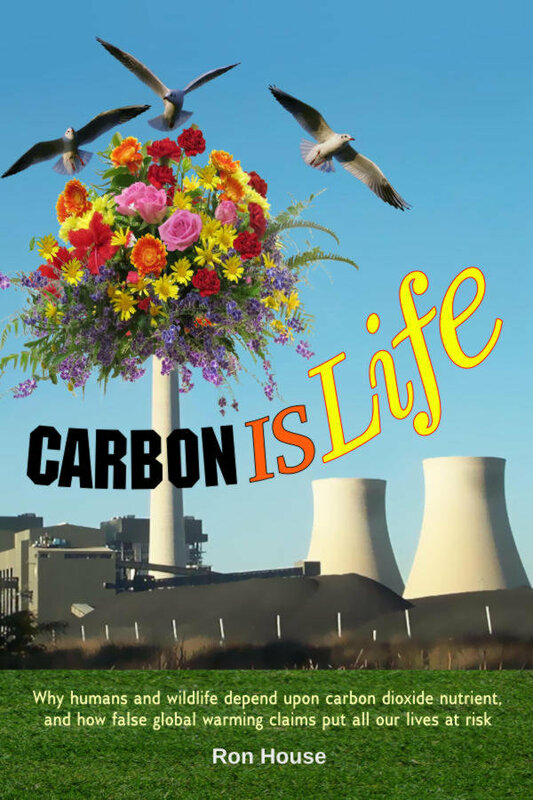 This is partly recognised (even by scientists). Animals warn their friends of dangers in the vicinity, they call their friends to food, males warn off competitors for sexual access to females, they plan hunting campaigns, babies call for their mothers, and so on. But I believe it goes much, very much, further than this, and I'll give you some examples a little later. The important point for now is that this need exists. Those animals that do it better will be more competitive and thus more reproductively successful. Something must meet this need. Inference 1: Humans will use grammatical language in preference to non-linguistic language wherever practicable. Inference 2: The human capacity for non-linguistic communication will be severely atrophied in comparison with the abilities of all other higher animals. In other words, there is a communication mode used effectively by non-human animals in which humans are severely handicapped. We have a little bit of it - 'body language', facial microexpressions made popular by the television show Lie to Me, 'eloquent eyes', gestures, and so on. My suggestion is that we might think we are as good at these things as other animals, but we are mistaken. Other animals send us clear messages which we do not read, and they therefore conclude that we are half-witted! But we can learn with difficulty what other animals learn with ease. But we have to trust first and evaluate the results with due scientific scepticism later. The reason we have to do this concerns a fundamental difference between linguistic and non-linguistic language. Say you ask someone a question. They answer with a tilt of an eyebrow. You take the answer to be, let's say, "Yes". Now suppose we end up in court and the opposing counsel asks what the answer was to the question. If you say yes, he might say "Come come now, all he did was tilt his eyebrow! He says he meant 'No'". And what can you say to that? But had he answered with a verbal "yes", there would be no dispute about it. This is because linguistic communications are inherently more certain and indisputable in their meaning than is body language, or smiles, etc. That is, we have to accept at the outset that there is an element of uncertainty in assessing non-linguistic communication, and therefore we have to accept that verifying our theories about it will take more time and maybe still be relatively uncertain no matter how careful we are. But that doesn't mean we can't be scientific, just that we should not over-reach ourselves. Gitie and I learned this from birds, but I think the principle applies more widely. Animal communication works like this. You now know the answer to your question. Let's see how this works with a few real-life cases. Maggie and Vicky Magpies' first bub Gemmie ventured away from home very early, spending days at a time absent, we knew not where. At only eight months, she disappeared for good. Where's Gemmie? We asked. Repeatedly. For days. Maggie and Vicky knew the name we had given their bub, so they knew who we were talking about. Did they understand our grammatical English sentence? No, but we gave out body language without even trying and without being aware of it. Maybe we looked around anxiously or put certain tones in our voices, who knows what specific thing clued them in? But clued in they were and they understood. At that time Magpie rules prevented Vicky from visiting our yard to get some food, so one or other of us walked each day through the fields to a tree where she was allowed to eat. 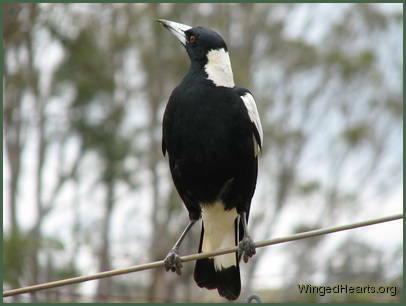 At this time I was taking the binoculars each day to look for Gemmie, and on one particular day, I think it was about three days after we started asking where Gemmie was, when I arrived at Vicky's tree there were no magpies in sight. (Normally Vicky at least, and mostly Maggie too, would be there.) I called Vicky's name loudly and a magpie answered from the very far limit of Vicky's territory at the top of the hill, almost a kilometre distant. Through the binoculars I saw two magpies singing back at me, but the distance was so great that even through binoculars I could not hope to identify them. Each time I called they answered, so I knew it was our birds, but was it Vicky and Gemmie or Vicky and Maggie? I went home frustrated, only to find Gitie with Maggie. Gitie told me Maggie had been with her ever since I left to feed Vicky. Putting together what I had seen and what Gitie had seen, we were able to deduce that the two on the hill were Vicky and Gemmie. It was easy for us then to deduce that Gemmie had moved to the territory on the other side of the hill. We knew where she was and that she was safe and had not been eaten by a predator. We never saw Gemmie again, but Maggie and Vicky had put the understanding of her safety and her movements into the minds of two members of a very different species. Yes, the process took many days whereas a human linguistic interaction ("Where's Fred?" "In the shed.") takes seconds - which is why we prefer our advanced languages to body language for complex communication. But it works and it is happening all around us, but we are usually blind to it - and we distrust it. For sure many readers will be shaking their heads and thinking we have deceived ourselves, we can't prove that this is what it meant, and so on. That's okay, that's the inherent uncertainty of non-linguistic communication. A few years later Vicky and Maggie had another bub, Sparky, who was also a natural wanderer. Sparky was a beautiful bird whom we loved very much. Not wanting to risk never knowing where Sparky would go after leaving home, we repeatedly told her "Show us where you are going to, Sparky." 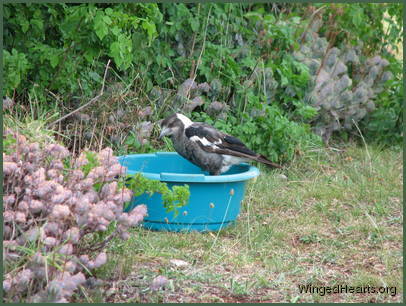 One day we were out in the garden, when we became aware of a bird circling over our heads. On a closer look, we easily identified it as Sparky. As soon as our eyes were firmly fixed on her, she flew in a straight line out across the valley to the far hills. She returned later, in the company of Maggie. Since we knew that parents help their kids find places to go, we then knew that this was the direction Maggie was taking his daughter, and therefore that was where Sparky was going to move when she left home. 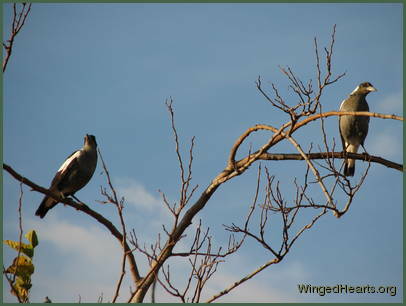 These are two of many examples of birds' teaching and informing us. Trust is the key to learning the language of animals. If we insist that scientists never trust, we will never get the evidence that would justify the trust. Only someone who is willing to believe first and ask their animal friend a question, with confidence that the knowledge will be given, only such a person will put across the correct body language that the animal can understand. Someone insisting "This is just coincidence", "This isn't scientific", "What sort of idiot talks to animals?" and so on, such a person will never have any experiences because they haven't successfully followed Step 1. Trusting first doesn't mean we are being unscientific. But, just as the entire non-linguistic thing is so very slow compared to human language, so, too, enough evidence that we can place confidence on the results might be slow to trickle in. But here, then, is my hypothesis: Do Step 1 with your animal friend (and it must be a friend, not a test subject! ), do it with confidence, don't feel shy or stupid for talking to an animal, and see if something happens, and whether you then know the answer to your question. Remember that your animal friend doesn't understand your words, so you have to ask repeatedly in many ways, being expressive with your gestures and your tone of voice. But give it a try. See what happens. That's science. Permalink Submitted by Dave (not verified) on 14 October, 2010 - 12:15. 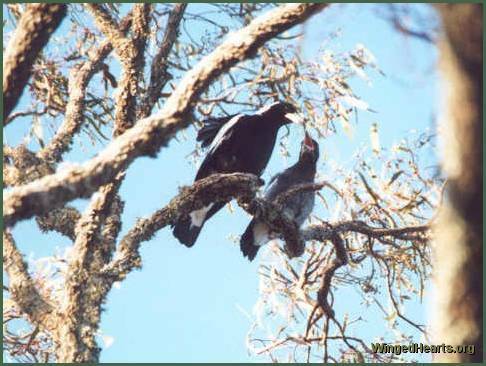 Both magpies were frantically swooping on a goanna (with a mouthful of feathers) at their nest. The nest is about 40m up a tree, just above our drive, between our house and the dam. By this time I could only watch and let nature take it's course. Very sad! When finished swallowing amidst constant swooping it repositioned and began the second, each chick took approx 5 minutes to swallow. The entire time the young couple screamed and attacked as best they could. After swallowing the second chick the goanna began its way down but froze for about 4 minutes when it saw me standing 5m away on the drive. The magpies also took a rest but resumed the attack after about 3 minutes prompting the goanna to carefully get to the ground and move off uphill - still under attack, towards the dam. I've become so attached to these two magpies - I only hope they stay to try again next year or even right away if it's not too late. Permalink Submitted by Ron on 1 November, 2010 - 21:44. Gosh Dave, sorry to hear that story. 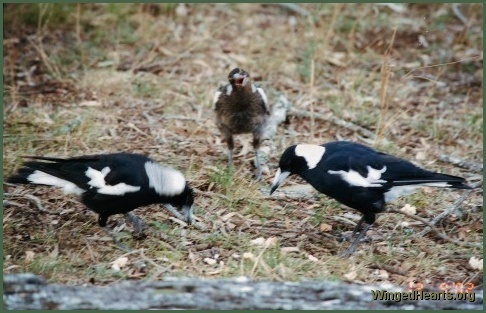 Sometimes magpies will re-nest in the same year if they lose their babies. Maggie and Vicky did one year when they lost their baby Josie. I hope things work out for your magpies, if not this year then next. Permalink Submitted by AhmadC (not verified) on 3 December, 2010 - 20:21. Birds have their own language that they alone can understand. To human ears bird song can be music or vexation at dawn. But could it be more? In the absence of lyrics it’s a mystery to be unraveled.Birds also communicate with their behavior. In many bird species, the male will dance, strut or put on some other performance to attract a female.Its so good to know some of these that we loan smile from them.